The Energy Monster MA, Inc. Comment: I have a sunroom where the sub floor is a general outdoor storage space. Previous owners didn't add sufficient insulation and/or support, and recently squirrels have been destroying the insulation and the foam sheets that were in place prior to our move-in. 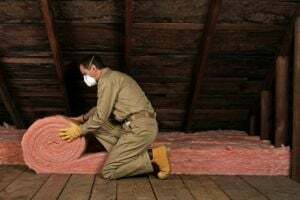 I need someone to replace the insulation with economic/low r grade padding just enough for general outdoor protection, and to install general use plywood to replace the foam sheets, again just to prevent wildlife from further destroying the sub foundation padding. Would like to have this job done in a quick turnaround as I don't expect it to be super pretty, just well installed and preventative. Comment: Renovation, need insulation in many areas. Comment: Sun room addition added to house in 70s is over stilts. Bottom of sun room is in need of new insulation and sealing up to prevent critters from entering in the house. Comment: Seeking company for spray foam injection into 2 interior finished walls in effort to soundproof noises between bedrooms. Comment: This is for an 8x10 room in my basement that is being converted to a wine cellar. Just three walls and the ceiling. The fourth wall is the foundation. The room is framed. Westwood Insulation Contractors are rated 4.79 out of 5 based on 342 reviews of 16 pros. Not Looking for Insulation Contractors in Westwood, MA?